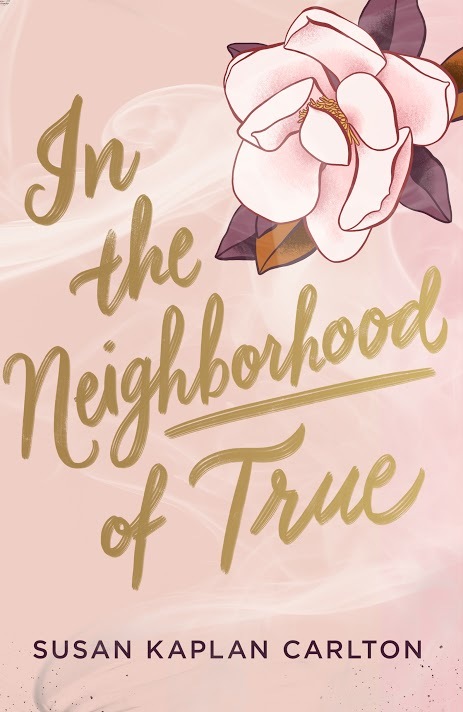 I’m still trying to decide how I feel about Susan Kaplan Carlton’s In the Neighborhood of True, which, since I finished it more than a week ago, must mean that it sticks with you. The story takes place in 1958 Atlanta. Following the sudden death of her father, Ruth Robb, her mom and younger sister move to the South from New York City. Their new home — the pool house in her grandparents’ backyard — is just one of many changes thrust upon Ruth. Friendless in a new town, Ruth decides to follow the family tradition of becoming a deb, joining the “pastel posse” and their little pink book of manners. Ruth quickly falls for Davis and soon finds herself in a world of etiquette, ball gowns and country clubs. Part of fitting in means fitting a mold, and Ruth doesn’t. So she decides to hide her Jewish heritage and her attendance at Sabbath services. But as much as Ruth wants to look the other way, in a segregated Atlanta, that’s just not a choice. When a hate crime hits close to home, Ruth must decide once and for all where she belongs. In the Neighborhood of True sticks with you. While I’m not sure I’d reread it, I’m glad it crossed my path.